What would you recommend for a beginner trader. Is there any preferred pairs I should try first. I choose for my charts please and why. What is the best time frame to trade in Forex. What are the benefits of such trading. money in Forex and only 10% get successful in this business. Is this data is only for beginners or all experienced traders? What is lot size and what's the risk? What rates are used when you Buy and When you Sell? one make or depends on the no of lots executed. How to set stop loss and set take profit when buying selling in Forex? Submitted by Beginner Trader on Sat, 11/07/2009 - 15:25. Submitted by Forex Tutor on Sat, 11/07/2009 - 15:28. 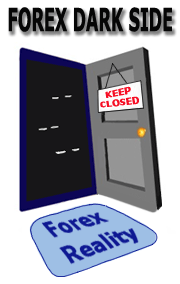 To start demo trading you need to open a free demo account with any Forex broker. Type in Google search line "forex broker demo account" and you'll find some brokers. Every Forex broker nowadays offers a free demo account. Submitted by Beginner Trader on Wed, 08/11/2010 - 00:10. Dose the Demo account work as same as live account? Submitted by Beginner Trader on Thu, 12/02/2010 - 16:35. Submitted by Beginner Trader on Sat, 03/12/2011 - 00:11. Submitted by Beginner Trader on Tue, 08/16/2011 - 14:15. If the demo account work as the live account, how do i get my profits? Submitted by Beginner Trader on Tue, 01/03/2012 - 04:22.
how to imagine a traind up and down in forex. Submitted by Beginner Trader on Thu, 05/31/2012 - 18:24.